Skip the queue, get your ticket right onboard the bus and settle in for a scenic ride! Great experience. Hassle free, shuttle bus is clean, driver is polite and bus location is very close to subway, easy to spot. Love the pre-assigned seat numbers too. 5 mins ferry ride to Nami Island. The Nami Island itselft was great. There are always something for everyone. Kids love the bell statue and the Nami Island characters. Overall, we love it and I personally will recommend it to everyone especially if you travel with young children! 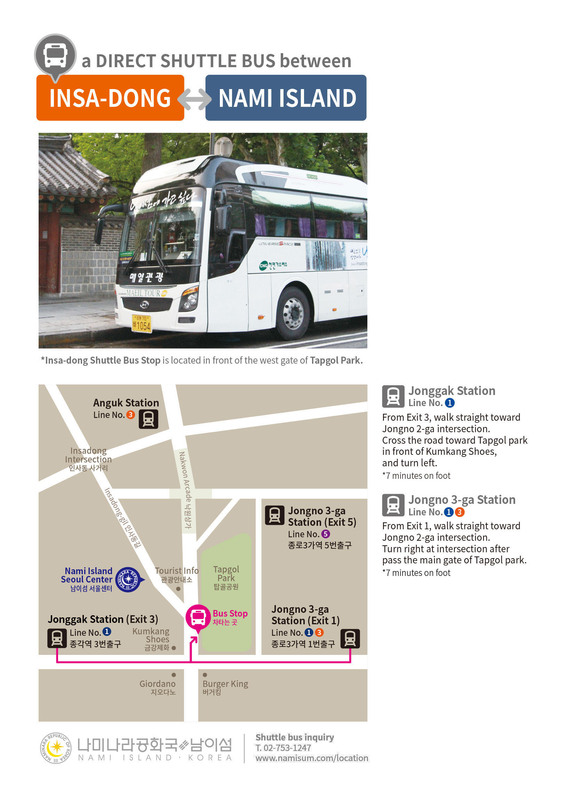 Explore the magnificent Nami Island hassle free with a round trip shuttle bus transfer and admission ticket from Seoul. This miniature half moon shaped island located in Chuncheon is 63 kilometers away from Seoul and a real nuisance to get to on your own as the island is not accessible by car. 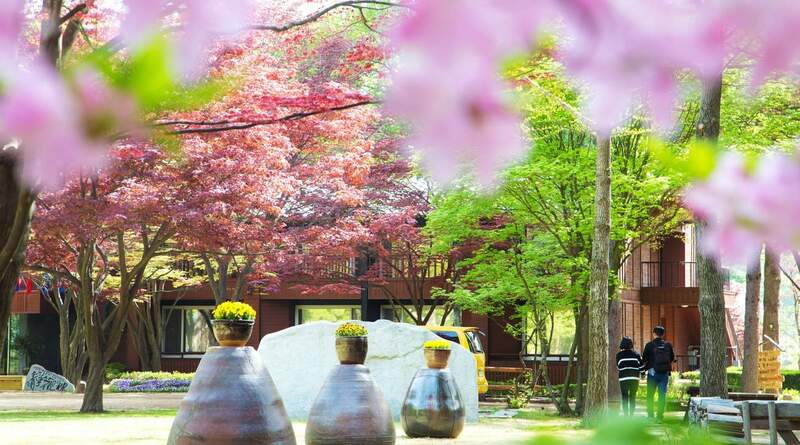 Nami Island is famous for its iconic tree lined avenues and an undisturbed natural atmosphere. Here, you won’t even see any telephone lines - they've been built underground to preserve the island’s unique feel. 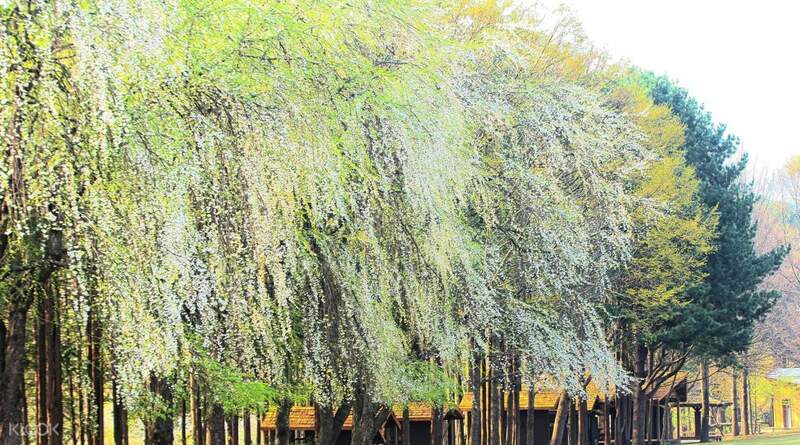 The island is also known as the location setting for the Korean 2003 drama series Winter Sonata. 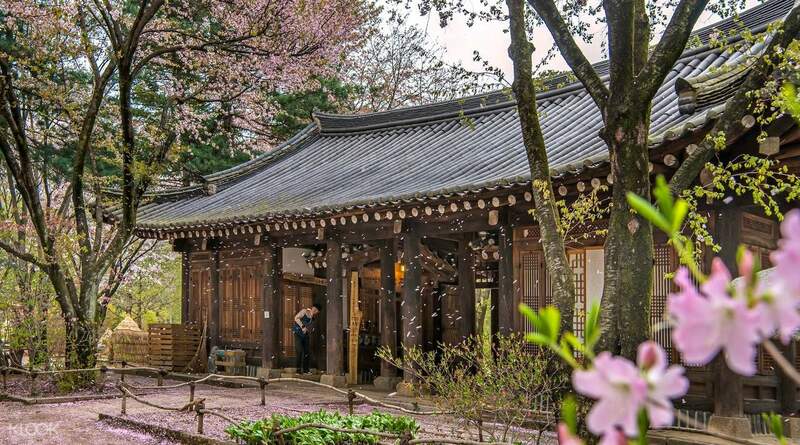 There is plenty to do and see on Nami Island: from exploring its romantic scenery, trying authentic snacks, taking the island zipline and going on a scenic rail ride nearby. 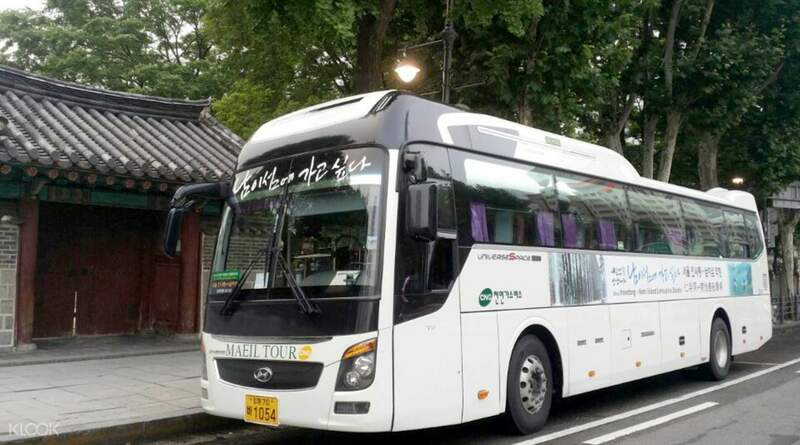 Your itinerary is totally flexible: simply board the Nami Island shuttle bus in central Seoul at 9:30am and hop back on at 4:00pm to depart from Nami Island, the rest of the itinerary is up to you! It’s very easy to find the bus, just follow directions on voucher. Be sure to be there early. Took about 2hrs to Nami Island, the view is bit sad because there’s no flowers but still a beautiful scenery. Will come back another time in autumn. 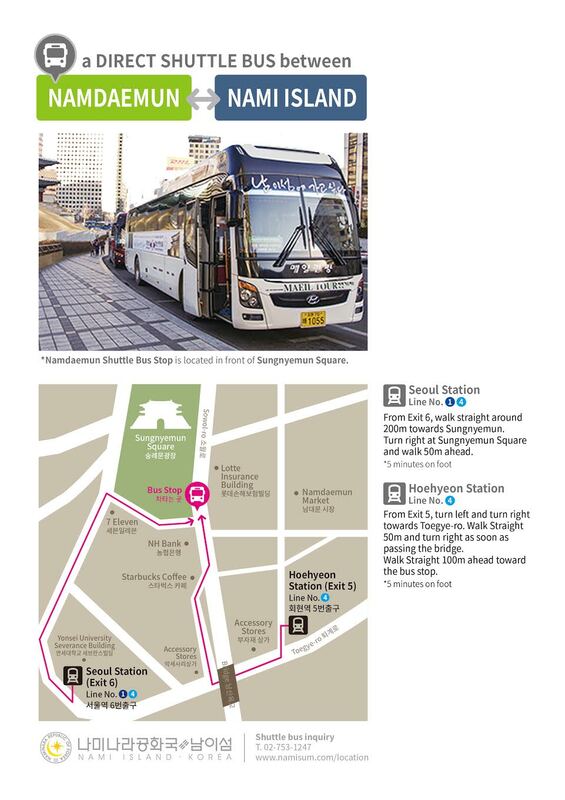 It’s very easy to find the bus, just follow directions on voucher. Be sure to be there early. Took about 2hrs to Nami Island, the view is bit sad because there’s no flowers but still a beautiful scenery. Will come back another time in autumn. bus pick-up on time and good sevices, then they have compartment to put stroller if your travel with small children. ticket ferry and entrance already purchased so they give convenience when we arrived at nami island. 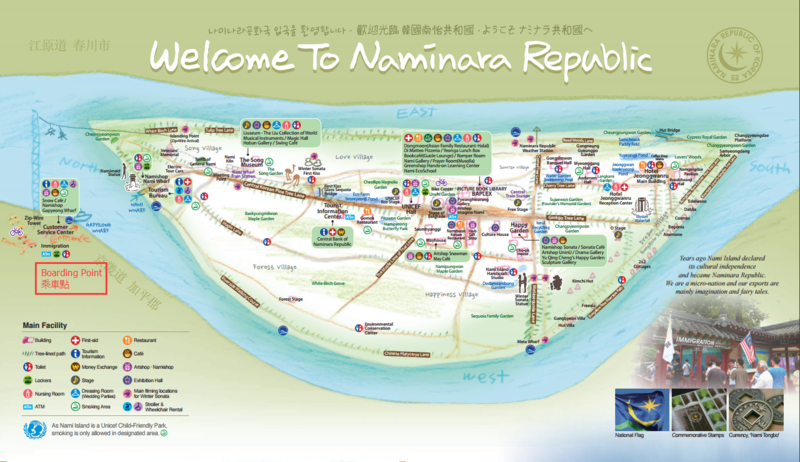 At nami island many activity you can do it, but for 4 hour at nami it not enough because you need to take ferry before at 3.30pm. bus pick-up on time and good sevices, then they have compartment to put stroller if your travel with small children. ticket ferry and entrance already purchased so they give convenience when we arrived at nami island. At nami island many activity you can do it, but for 4 hour at nami it not enough because you need to take ferry before at 3.30pm. the most dream place for photo and a lot of beautiful place to explore. I love Nami island so much it just took us about 1 hour from Shinsegae duty free mall. u can find easily shuttle bus at the front of Louis Vuitton boutique. If you want to explore the whole island you should sleepover for one night at the island. this island is children friendly because they have a lot of place for them and I saw cute squirrel. I will come again to this island. the most dream place for photo and a lot of beautiful place to explore. I love Nami island so much it just took us about 1 hour from Shinsegae duty free mall. u can find easily shuttle bus at the front of Louis Vuitton boutique. If you want to explore the whole island you should sleepover for one night at the island. this island is children friendly because they have a lot of place for them and I saw cute squirrel. I will come again to this island. Gave them a rating of 5 because of the quality of service from pick up point to Nami Island and vice versa. Just listen and follow instructiona. Be on time because they arrive on time. Also, follow the map on your confirmation voucher, muntik na ako maiwan ng bus cause I was waiting on the wrong spot. It was a great winter trip to Nami Island via Klook. Thank you! Recommended for solo travelers like me. 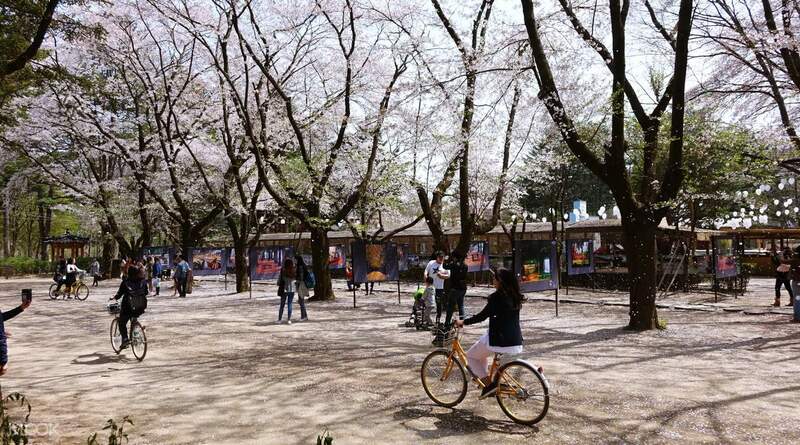 Gave them a rating of 5 because of the quality of service from pick up point to Nami Island and vice versa. Just listen and follow instructiona. Be on time because they arrive on time. Also, follow the map on your confirmation voucher, muntik na ako maiwan ng bus cause I was waiting on the wrong spot. It was a great winter trip to Nami Island via Klook. Thank you! Recommended for solo travelers like me. Even though it was winter and cold, Nami was a lovely addition to our family trip. Hot food, entertainment and activities, and beautiful photo ops. Would recommend the zip line activity coming onto the island! Even though it was winter and cold, Nami was a lovely addition to our family trip. Hot food, entertainment and activities, and beautiful photo ops. Would recommend the zip line activity coming onto the island! A small yet peaceful and beautiful island. So many chnages since my last trip here and I miss the stall that sells the soft serve ice cream but they still have one stall selling the soft steamed buns. There are a fee activities during winter and you get to play in the snow for a bit. Take a slow stroll around the island and enjoy the calm and take in the beauty of the surrounding area. A small yet peaceful and beautiful island. So many chnages since my last trip here and I miss the stall that sells the soft serve ice cream but they still have one stall selling the soft steamed buns. There are a fee activities during winter and you get to play in the snow for a bit. Take a slow stroll around the island and enjoy the calm and take in the beauty of the surrounding area.